This Ellen and Portia makeup free selfie is simply beautiful. Ellen and Portia share a make-up free selfie. Melts the Internet's cold heart. 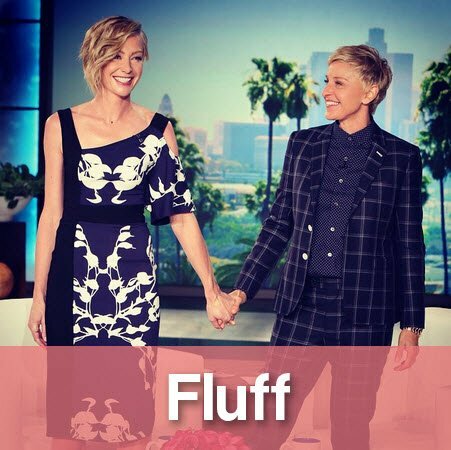 You can’t really gather a list of remarkable celebrity couples without including Ellen Degeneres, 56, and Portia De Rossi, 41. The pair have been together for 10 years now, married for six, and will celebrate their anniversary tomorrow. The couple are usually notoriously quiet about their private lives, so obviously there are divorce rumours (obviously). 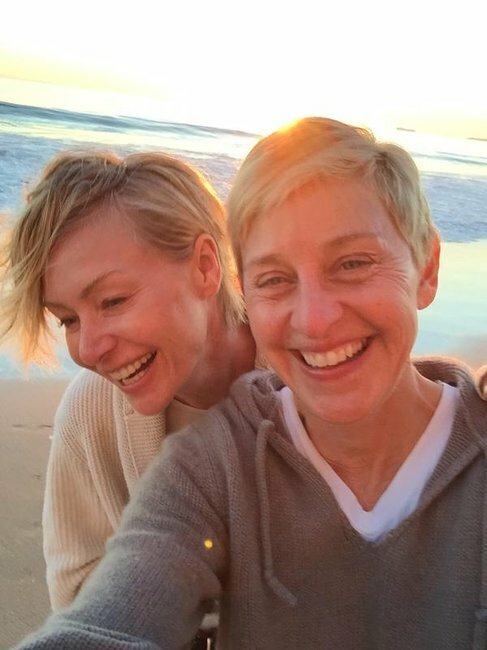 Portia has answered in the best possible way: by put up a stunning picture of her and Ellen on Twitter- 100 per cent make-up free and deliriously happy. 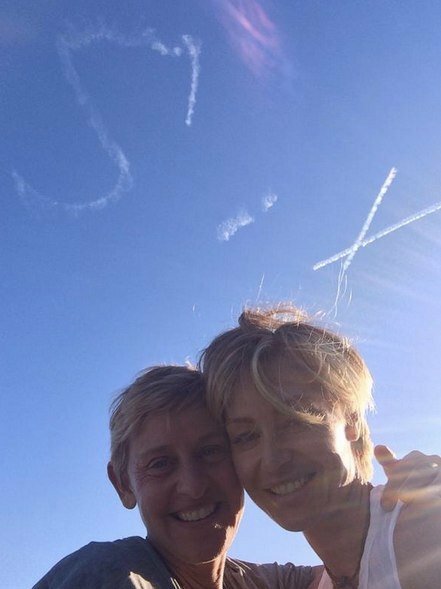 Earlier this year to celebrate 6 years together Portia also made this very sweet, and…er…subtle… gesture in the sky for her wife. Ellen and Portia DeGeneres’ relationship has been the subject of cover upon cover of tabloid magazines as of late, with multiple titles claiming that their marriage is on the rocks. It caught my eye because Portia and I were in the corner and I thought, ‘Oh that’s so sweet, they’re honouring us. But then I read the headline underneath. And it said: ‘Ellen and Portia Marriage Crumbles.’ And I was like, ‘Oh, what happened? They seemed so happy.’ And then I was like, ‘Wait, I’m Ellen.’ And I should know if that was happening. If between all that, and this glorious Kardashian inspired Christmas card people still think their relationship is on the rocks? You know what? Everyone remain calm, but we think these kids are alright. We love a good make-up free selfie here at Mamamia. Sure, we love seeing celebrities dolled up and at red carpets, but every now and then it’s nice to remind ourselves that they’re, well, human too…. 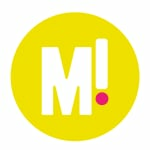 And in case you missed our supermodels without make-up gallery, here it is.